Eastland Pest Control can detect just about any insect, rodent, or flying creature under the sun. We take it upon ourselves to provide you with our expertise, so all you have to do is sit back and watch as we take care of the problem for you. Whether we are working inside your home or out, our goal is to provide you with the peace of mind that your home is pest free at all times. Both centipedes and millipedes are segmental creatures that can give you nightmares when you think about them infesting your home. With their long bodies and tiny legs, you should never have to scream in fear when you see them around; just call us and we will be right there. Although centipedes are quicker when they are on the move, millipedes are still just as disgusting and hard to get rid of. Although both centipedes and millipedes can kill small prey if they bite, they are not harmful to humans. Feasting on rotting or decaying matter, they often eat and live by plants and undersides of rocks. When it comes to your home, you may want our help regarding its exterior rather than its interior. These insects are often seasonal, so you will not have to worry as much when the winter months hit. 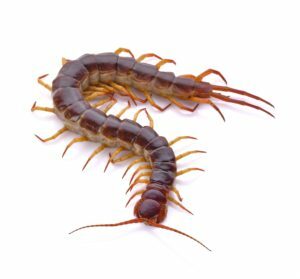 If you are outside your home and notice an abundance of centipedes or millipedes, you do not have to ignore them; call the experts to have your problem resolved right away.